The Allies evacuate the Russian Black Sea port of Odessa. 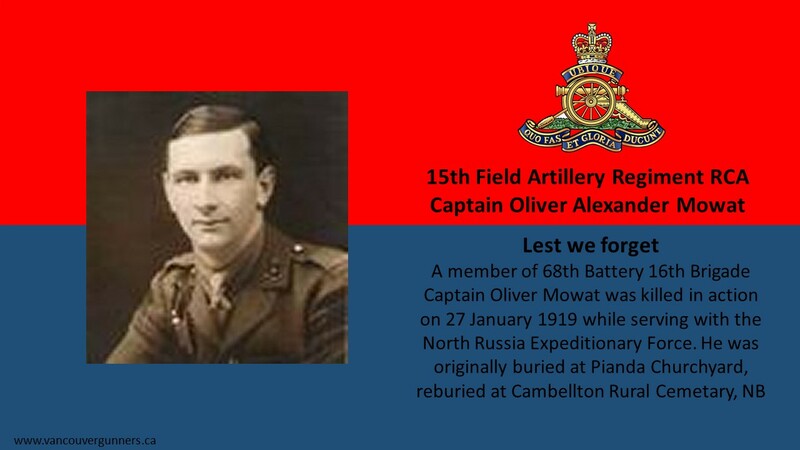 Major Francis Mortimer Taylor MC (Royal Army Medical Corps) is killed in action in North Russia. He is the son of ‘Sir’ John J Taylor KCB. Lance Corporal Philip John Hartnett (Canterbury Regiment) dies at home at age 30. His three brothers, Cyril, Dennis and John all were killed during the Great War. A series of fires and explosions occurs on the steamship Bayropea at Economia, port of Archangel. When Master Edgar Twidle arrives on the scene his ship is burning fiercely. On being informed that the First Engineer is alive, Captain Twidle climbs on board but finds that he is dead. He then examines the other rooms and finds a Chinese sailor in a dazed condition. With the assistance of Chief Office William Martin and Mr. Robert MacBryde this man is gotten over the ship’s side across the ice, and eventually to the Red Cross station. About four minutes after the seaman has been removed the vessel blows up and sinks. For their efforts all three men will be awarded the Albert Medal. First Engineer Alfred Greig Hourston is dead at age 30. His brother will die on service in India next June. Quarter Mater John McDonald age 26. His brother was killed in August 1916. The Royal Flying Corps begins training at Toronto. A new British minefield off the Jutland coast is announced from Scandinavia. Second Lieutenant Alexander Anson Gardiner (Indian Army Reserve of Officers attached Sappers and Miners is killed at age 30 in Mesopotamia. He is the son of John William Gardiner JP and grandson of Sir Joseph Napier 1st Baronet and Lord Chancellor of Ireland. Private William Boyson (Northamptonshire Regiment) is killed at age 21. His two brothers will be killed in the Great War also. Private Joseph Weatherer (Manchester Regiment) dies of pneumonia and wounds at age 38. His son will be killed serving in the East Surrey Regiment in Italy in July 1944. They are the only Weatherers to die in the service of King and Country in the two World Wars.